* The great night life in Skopje. * Ohrid as the city of religion: Christianity was accepted here since its beginnings – you can see different types of churches from the early Christian Basilicas across the Middle Ages churches to the modern ones. * The Ohrid Lake – one of the oldest and deepest lakes in the world, full of endemic species of life. * Shirok Sokak Street (The Broad Streed) Pedestrian area lined with nice colorful romantic and neo-classical buildings. It is divided into three sections and even though the first part has the best preserved buildings it is worth walking all the way till the end. The street is very lively and lined with cafes which are excellent for relaxing and people-watching, especially because of the girls from Bitola who are known as the most beautiful in Macedonia and they love to parade up and down the street dressed up in their best. Macedonia’s vineyards heartland, Tikves, has produced wine since the 4th century BC. It features rolling vineyards, lakes, caves and mountains, plus archaeological sites and churches. It’s especially beautiful at dusk, when the fading sunlight suffuses soft hills laden with millions of grapes. Tikves’ local grapes generally retain an ideal sugar concentration (17% to 26%). Tikves is the most well-known wine region in Macedonia. It is located in the very heart of the country and stretches along similar latitudes as the Bordeaux region in France, Tuscany region in Italy and the Napa Valley region in California. The wine district is situated on around 2,000 sqm of fertile land, surrounded by mountains on three sides. This district embraces the flat and undulating hills that stretch to the Veles canyon on the north, Demir Kapija canyon on the south, Drenovo and Mariovo Mountains on the southeast and Plaush and Konce mountains on the northeast. The specific part comes from the length where the rivers Vardar, Crna, Raec and Bregalnica pass in the lower flow. All these rivers and mountains have a special influence on district’s agro ecological, relief and pedologic characteristics. 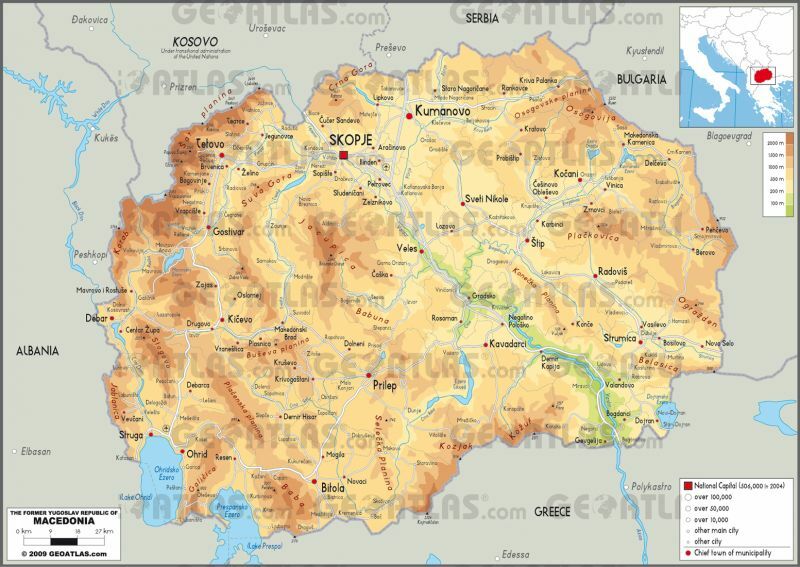 With nearly 13,000 hectares of vines, the Tikves wine region represents around one third of the all grapes grown in Macedonia, a place where the southern Mediterranean climate, full of long and warm summers and the northern continental climate, with mild and rainy winters, combine. The average air temperatures per year are 13.3°С and the vegetation temperatures are 18°С. The summers are long and hot with temperatures that go even beyond 43°С and the winters mild and rainy with an average annual rainfall insufficient and unevenly distributed of 293 mm during the vegetation period. The vineyards are located at an average of 300 metres above sea level, protected by mountains and highlands on three sides, channelling the gentle north winds and Mediterranean climates, creating ideal grape growing conditions. Grapevines are mostly planted on chernozem, rendzina and vertisol soils, and only occasionally on cinnamonic and diluvial soils. There are over 20 different grapes varieties grown in the Tikves district including many indigenous and international varieties such as red varieties including Vranec, Kratosija, Kadarka, Cabernet Sauvignon, Merlot, Pinot Noir, Syrah in addition to Žilavka, Župljanka, Graševina, Plavec, Smederevka, Chardonnay, Sauvignon Blanc, Muscat Ottonel, R’kaciteli and Riesling for the whites.